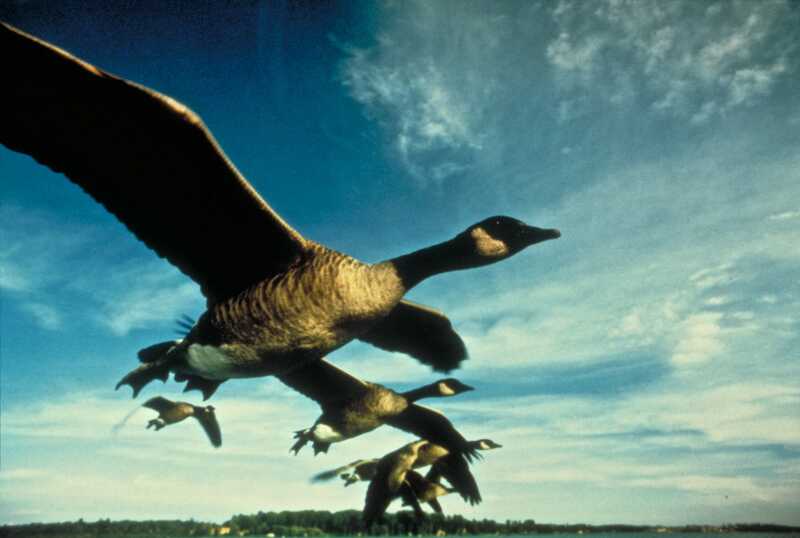 Skyward follows a family of Canada geese from birth to first-flight and records the elegance of these birds in extraordinary slow-motion flying sequences. 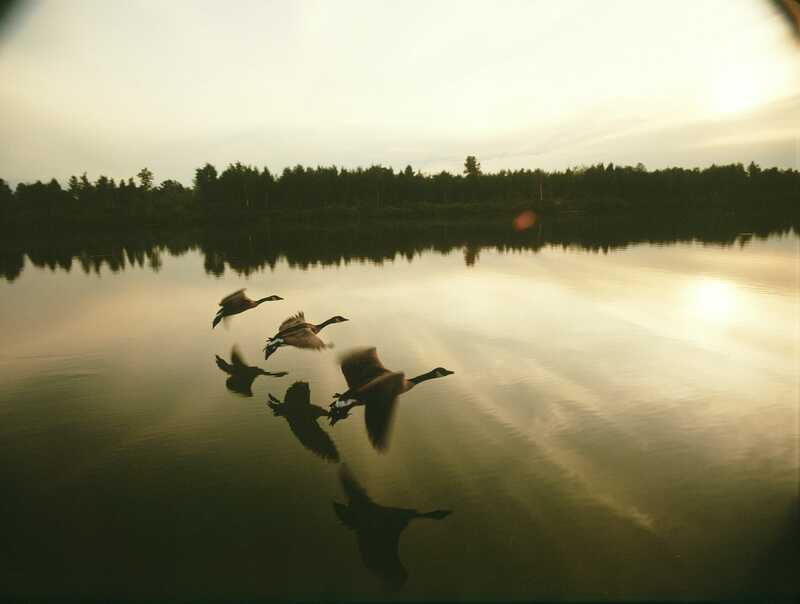 Filmed in the Canadian wilderness, the story of the geese is woven into a tapestry of vignettes that document humankind’s longtime fascination with birds and flight. Skyward dramatizes our attempts to imitate winged flight, modern society’s effect on the fragile habitat of wild birds and the conservation efforts being made to rescue endangered species. The film features conservation work with Brown pelicans by Ralph Heath and the Suncoast Seabird Sanctuary, coverage of Englands “Birdman Rally” flying contest and aerial footage of the Canadian Forces’ “Snowbirds” aerobatic flying team. Skyward was directed by Stephen Low in 1983-84 for the Tsukuba Expo (1985). Sponsored by the Suntory Corporation of Japan, the film was the featured presentation in their pavilion at the fair and was distributed to IMAX theaters world wide. As Stephen Low’s giant screen directorial debut, Skyward, illustrates a unique ability to capture the lyrical and mysterious qualities of wildlife on film. To achieve the astounding close-up flying sequences in the film, the filmmaker worked with a small team of naturalists. The production funded the hatching, imprinting and training of a flock of Canada Geese for the project. 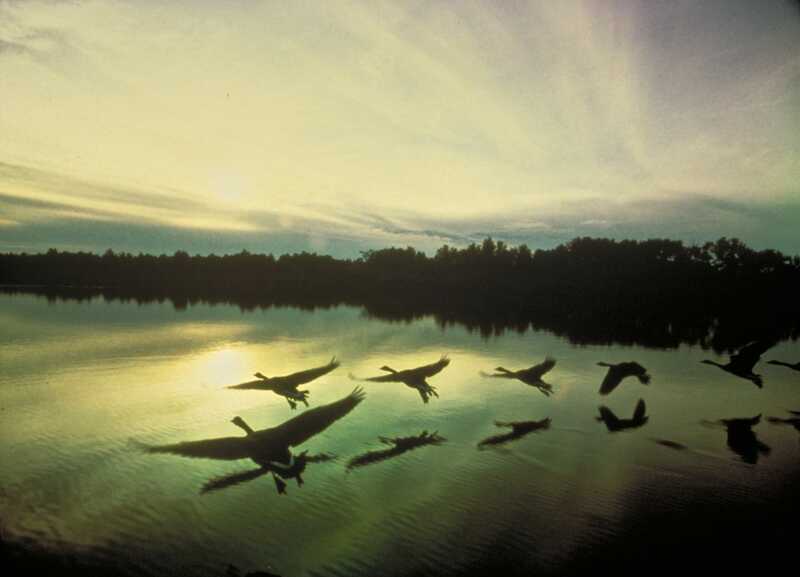 The geese were trained to fly in close proximity with a boat, making possible unique slow motion footage of the birds taking off and flying in their wetland environment. The team also used a specially developed wind tunnel to film flying geese. One of the offshoots of the work on Skyward has been the experimental application of this technique for the re-establishment of bird migration routes using ultralight aircraft (Canada geese, Sandhill cranes and Whooping cranes). 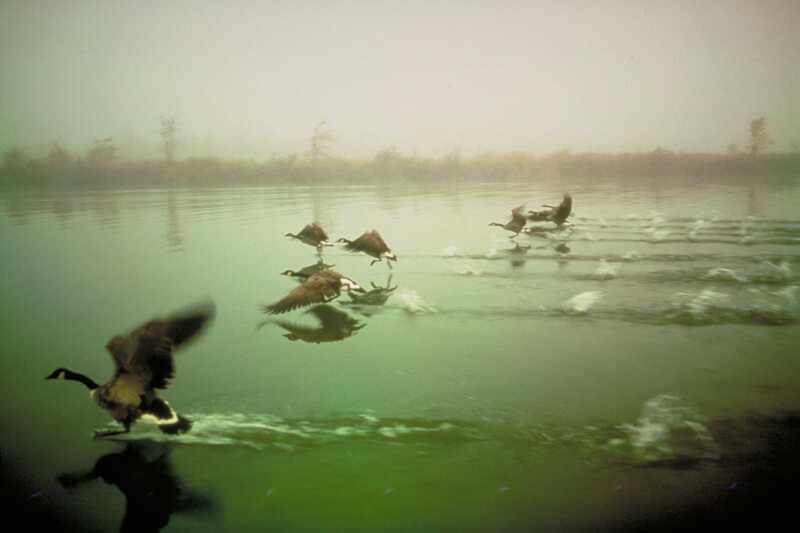 Some of the techniques developed for Skyward were used subsequently to capture IMAX 3D footage of flying Trumpeter swans for a sequence in the Stephen Low film The Last Buffalo (1990). The techniques pioneered for these giant screen productions have since been used by other filmmakers in other formats, but the clarity, intimacy and lyrical quality of these original images has arguably never been equaled. 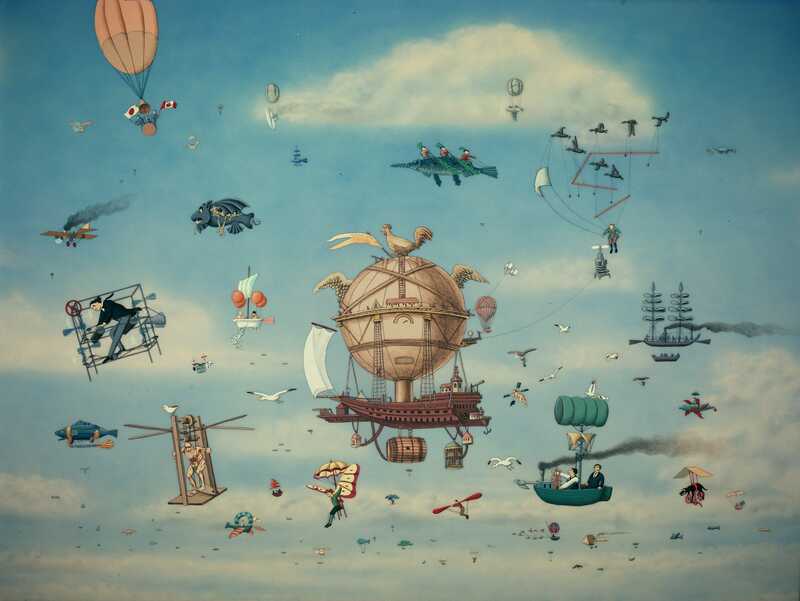 Skyward is also notable as being the first IMAX film to feature cel animation sequences and the first IMAX film to incorporate slow motion shooting (at 45 frames per second) —a necessity for capturing the rapid wing beats of the geese in the film.